Since Lee's birthday was during the week, we decided to celebrate it on the weekend. 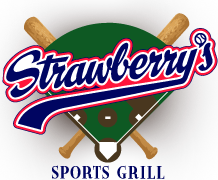 We decided to check out Strawberry's Sports Grill in Douglaston. It was a typical sports bar with 16 TV screens showing several events at once. There were plenty of photographs of the Mets and Yankees. The food was excellent with fast service. I would highly recommend it to my readers. Today a student at the NJIT Library had a reference question that hit close to home. What motivates people to write personal blogs. I was able to direct him to Academic Search Premier and searched under personal blogs and found several articles in psychology journals that discuss this. Let me answer what motivates me. I guess it is my desire to become a writer. Anything I write here or my professional blog does not have to be submitted to an editor or go through the peer review process. Sometimes I use it to vent and other times to give my opinion on music, radio, and sports. In part, it serves as a diary. My post range from the ridiculous to the sublime. I use Google Analytics to analyze the people finding Bruce's Journal. I am only aware of two regular visitors. There is a distinguished professor on the upper east side who likes to hit golf balls and a radio enthusiast who is a real contest nut. I suppose there are a few other regulars. Most do "Google Research" and land on a specific post and never come back. Today is Eric Clapton's 67th birthday. I found this video of Eric with Bob Dylan singing Don't Think Twice It's Alright which is one of my favorites. Happy 24th birthday Lee. Where did all these years go? It seems like just yesterday when we brought you home from the hospital. I remember Bob Shannon announced your birth on WCBS-FM while most of your birthdays were heard on Harry Harrison's show. I could be very simplistic and play Birthday by the Beatles. Instead, I am dedicating Girl from the North Country with Bob Dylan and Johnny Cash singing together. This makes father and son very happy. I thank Dennis Mitchell for playing it on this week's Breakfast with the Beatles. Karen and Lee met me after work last night at the Prudential Center. The Devils got 46 shots on goal, but the only statistic that counts are the ones that go in. The Devils were trailing, but were able to tie it up at the end of regulation. The Maple Leafs scored 3 goals in the shootout to win the game 4-3. Even though I a big Mets fan, I like to go to a few Yankee games each season. Ticketmaster had a pre-sale for Mastercard holders so I bought tickets for Saturday April 28 against Detroit and Sunday August 5 against Seattle. It is more convenient to go to games on the weekend. The tickets in the upper deck were $32 plus $5.80 fot the Ticketmaster fee. I guess this is one time that I couldn't get around the surcharge. I was listening to Dylanradio.com last night and heard a terrific jazzy cover of Like a Rolling Stone by Barb Jungr. I did a little research and found out that she issued a CD of Dylan covers called Man in the Long Black Coat. I found it on Amazon.com and downloaded it. I have to work late the next two evenings so I'll have to find time to listen to it. 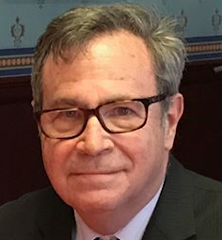 I was in 7th grade at Russell Sage Junior High School in Forest Hills anxiously awaiting my bar mitzvah that would take place about 6 weeks later. 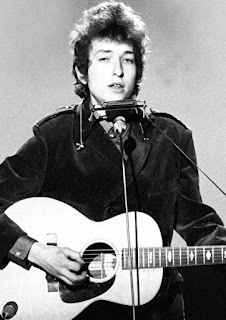 I knew nothing about the folk music scene in Greenwich Village or a young singer named Bob Dylan. 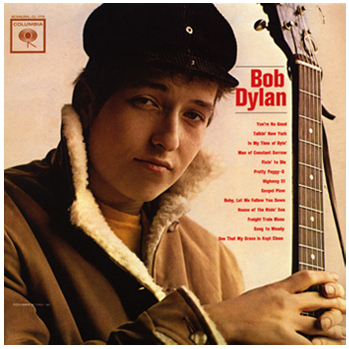 On March 19, 1962 Bob Dylan released his very first album shown below. About 7 years later I bought this album which I still have on vinyl. I was at lunch today when I heard Darren DeVivo on WFUV play a set of very early Dylan songs. For more information about Dylan's self-named first album please see this Rolling Stone article. 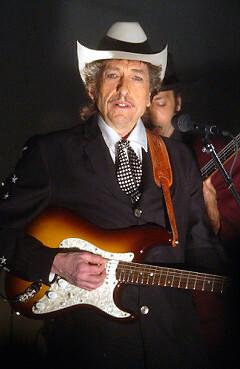 One of the songs on this album was Song to Woody, a tribute to Bob's idol Woody Guthrie. He sang it at the BobFest at Madison Square Garden on October 16, 1992. Back in August 2008 we visited the Stoogeum near Philadelphia. Back in the early 1969s I was a big fan of the Three Stooges, but in recent years Lee has become their biggest fan in the family. There are several photos in Bruce's Journal of Lee wearing his 3 Stooges t-shirt. Anyway, today we started to see commercials announcing the Three Stooges movie to be released on April 13. It is rare when a remake is as good as the original. I remember in the 1990s there was a move of Car 54 Where Are You which was absolutely terrible. Only Joe E. Ross can play Gunther Toody. Likewise I think that Moe Howard, Larry Fine, and Curly Howard can be The Three Stooges. If you see the trailer, you will see that the actors look like the original, but I doubt that this film will do justice to the originals. It is possible that this forthcoming movie will regenerate interest in the original. We'll see. This was on the Rolling Stones 12 X 5 which I have on vinyl. I haven't heard it in a long time. Enjoy! Knick coach Mike D'Antoni resigned today after 3 1/2 years as coach of the Knicks. His record over that time was 121-166. It wasn't all his fault since he was stuck with players that Isiah Thomas brought to the team who were just misfits. After the Linsanity wore off the Knicks lost 6 in a row. I think it takes time for the players to mold as a team. I didn't like the high scoring games that took place under Mike D'Antoni. I fondly recall the chants of "Defense" in MSG years ago when the late Red Holtzman was the coach. Mike Woodson was named interim coach. Perhaps if the Knicks make the playoffs and advance, he will be retained. I think that owener James Dolan, who is in my opinion the root of all the problems, may try to lure Phil Jackson out of retirement. I was just pissed this season with the outrageous ticket prices and the dispute between Time Warner Cable and MSG. The third week of March has always been Spring Break week at NJIT. There are no classes, but the administrative staff including the librarians are expected to come in. I have plenty of vacation time, so I took the day off. Luckily, it was unseasonably mild, so I drove out to Alley Pond Park, took a long walk, and then sat down to read yesterday's New York Times. Back to work tomorrow. I added a widget that tells me how many page views Bruce's Journal has received. Just today I reached the 100,000 mark in almost 6 1/2 years. Thanks to everyone who has stopped by even if it was just once. The statistics that I get indicated that about 85% of the visitors just stop by for 10 seconds or less. I have a few regular visitors, but most people do a Google search and find one page and then move on to something else on the internet. Matthew, Brian. This Is Where I Came in. London: Constable, 1991. Print. I really feel in love with the show which is a good blend of British and American Oldies including rarities and the staples of oldies radio. I regularly listen to the archived version on Sunday mornings. On two occasions Brian played my requests. One was Niki Hoeky by P.J. Proby while the other was a dedication to my wife Karen I Couldn’t Live Without Your Love by Petula Clark. I wrote to Brian stating that I must be America’s most avid listener of his show. I really wanted to find out more about Brian. His name sounded familiar, but I could never could place it until I heard Sounds of the 60s. Very recently I discovered a Facebook Group dedicated to the show. A poster briefly discussed the autobiography. I thought that if it wasn’t too expensive I would try to obtain a copy. I went to Amazon.com and ordered the book from a used book dealer for only $12 including the shipping. The dealer stated that book was mailed on February 2. When I reported that I hadn’t received the book on February 23, the dealer presumed the book was lost in the postal mail and gave me a refund. I then ordered the book from another dealer and received it in a short time. However, the other day the book came from the original dealer, so I have two copies. There are only two libraries in the USA (Library of Congress and Penn State University) that hold the book. It is possible that I have 2 of the 4 copies in the United States. Many autobiographies are done by ghostwriters, but This is Where I Came in was written by Brian Matthew himself. I must admire Brian for his exceptional memory of so many events in his life. He was very sincere as his was not afraid to talk about the setbacks in his life. His first love was the theater as he was a student at the Royal Academy of Dramatic Arts (RADA) in the UK. His went to the Netherlands for his first job in radio. He later came to the BBC and spoke proudly of seeing the Beatles at Shea Stadium in 1965 and interviewing them. He spoke of his experiences with Saturday Club and Round Midnight. 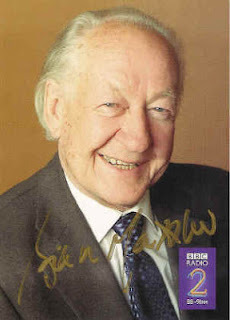 It is very hard to be successful in show business, but Brian made his mark as an actor and as a broadcaster. The book ends somewhat abruptly when on page 223 he says he got the job in a theatrical production of Lynchville by Snoo Wilson. It’s difficult for the reader to ascertain if he enjoyed acting or the radio most. Since the book was published in 1991, it didn’t discuss Sounds of the 60s, so I must refer my readers to the Wikipedia entry. (http://en.wikipedia.org/wiki/Sounds_of_the_60s ) . I am not aware of any other acting or radio gigs over the last 22 years. Perhaps readers of this blog entry can fill me in. 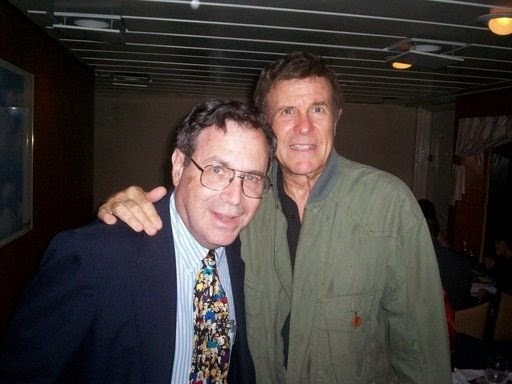 I always admire radio personalities like Cousin Brucie, Bob Shannon, Bob Radil, and Pete Fornatale among many others who know the music and the recording artists. Brian Matthew seems to be a walking encyclopedia of British rock of the 1960s. I am sure that he gets help from his producer Phil “The Collector” Swern. New Musical Express, a reliable British publication, reports that Bob Dylan is recording an album of new material in a Los Angeles studio owned by Jackson Browne. There is not much information available about this, but hopefully there will be a big ado for his 50th anniversary of his first album with Columbia. I will post more information when it is available. I remember that years ago daylight savings time began at the end of April and ending the last weekend of October. Now it begins the second Sunday in March and ends in early November. For a few weeks at least it will be dark when I wake up at 6:10 but will be bright when I get home. 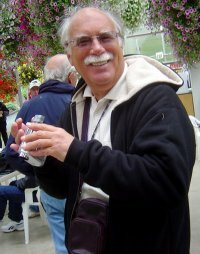 Bob Radil has been playing time and clock songs on tonight's 60s 70s Show. Let me post one of my favorite time songs that Bob played tonight. I believe Bob played the Irma Thomas version. I made a small change in Bruce's Journal. If you scroll down, and look at the right side you will now see the 5 most popular posts. It seems that there are a few people who check this blog every day, but for the most part people search Google and land on one page. The Top Post is Jason Keller - Jeopardy Superstar. When you Google Jeopardy this post is on the first page. Jason was big winner on the show a couple of months ago. Second Place is Prayers for Gary Carter - this post got many hits the day after Gary passed away. You can check for the other 3 of my most popular posts. I am now approaching 2000 posts in Bruce's Journal since I started it in October 2005. I thank Frank D'Agostino for bringing this to my attention. 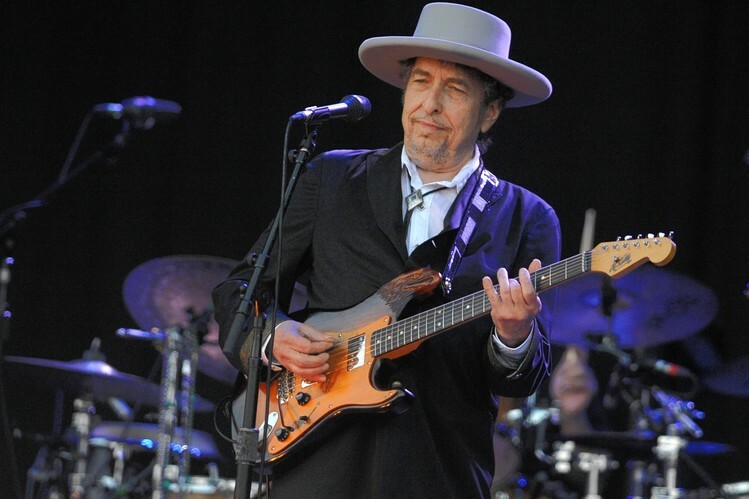 This Fall will be the 50th anniversary of Bob Dylan's first recording. Columbia Records is preparing the ultimate box set for release in the Fall. I guess the Dylan completist must have this. My issue is why must I buy CDs that I already have in my collection. I still possess many Dylan albums in vinyl and have a turntable to play them. $300 is a lot of money to pay to have something I really don't need. I think Bob has made plenty of money from me over the years. Inevitably Columbia will add some rarities never before released so that the Dylan diehard will purchase this. I heard that Facebook friend and fellow enthusiast Kate Palmer had a back operation recently. 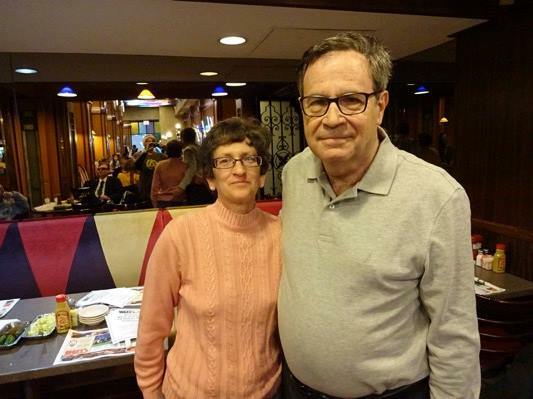 I certainly wish Kate a very speedy recovery and look forward to hearing her requests on Bob Radil's 60s 70s show on Rewound Radio Friday nights. Below is his 1965 hit Everyone's Gone to the Moon. I remember listening to it in July 1969. It still gets a fair amount of play of oldies stations. Jonathan lived a strange life as you can read in this Wikipedia entry. I actually posted about this song in July 2009, the 40th anniversary of the Moon landing. Cousin Brucie played it tonight. How true it is. If you try sometime, you'll find you get what you need. I just found out that from an article in the Examiner by Harold Lepidus that Davy Jones covered It Ain't Me Babe. Enjoy! There are two ways you can look at this situation where the #4 and #5 teams in each league will play one game where the winner meets the #1 seed. On the plus side it gives more meaning to the pennant race. 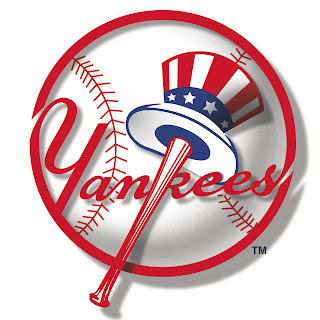 But there is some injustice if say the Red Sox in the AL east win 100 games while the Yankees win 105. For arguments sake, the winner in the AL West could win 92 games and not have to play that extra game. I just think major league baseball is out for the almighty buck. This means two more games will be on national television generating more revenue.